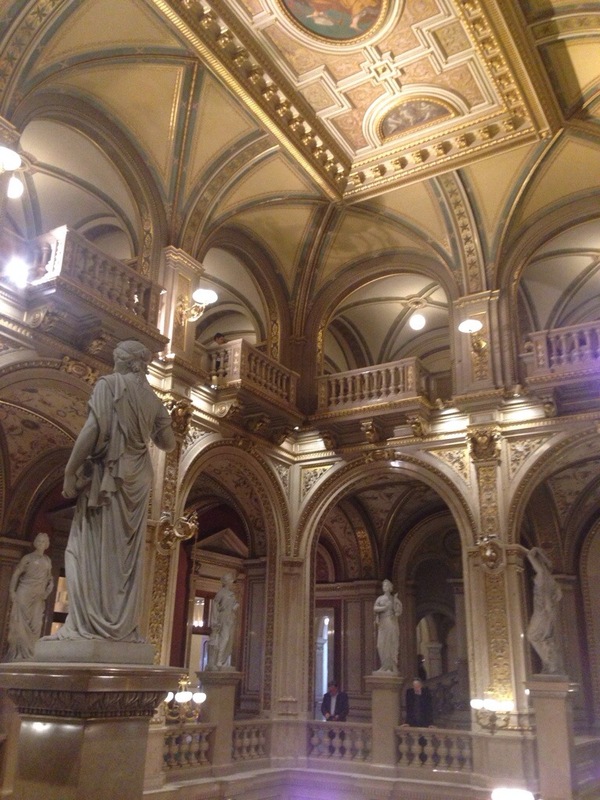 I have enjoyed Vienna, possibly a little more so than Prague. It is very cycle friendly with well marked dedicated cycle paths. The two frightening aspects were negotiating which side of the road one should be on and secondly avoiding the tram tracks! I have ignominiously had my front wheel caught by the Glenelg tram track in Adelaide and hence gracefully and unavoidably in slow motion come a cropper. Once bitten…. There are two very wide ring roads that encompass the old centre and so I have cycled my way around all the sights in both directions – for variation! 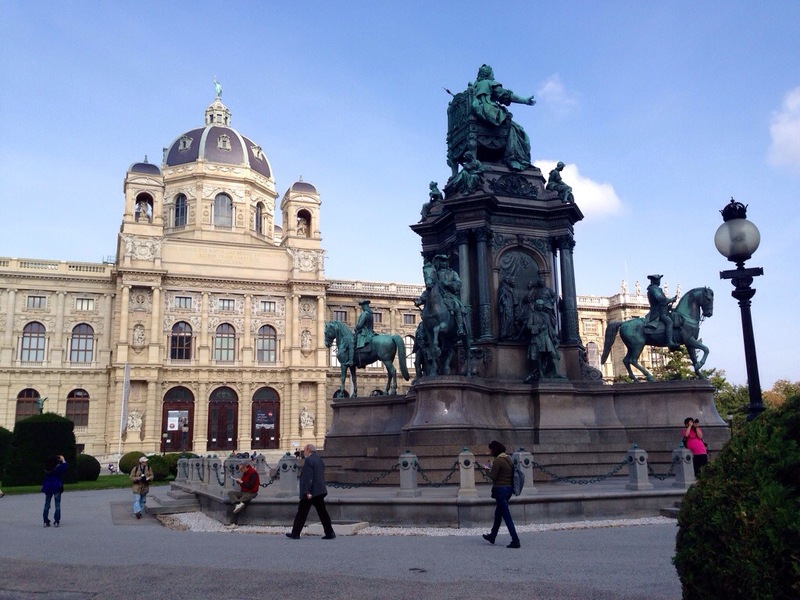 So I don’t want to (and won’t) simply list all the “places to see” in Vienna, I saw the majority and mostly from the outside. 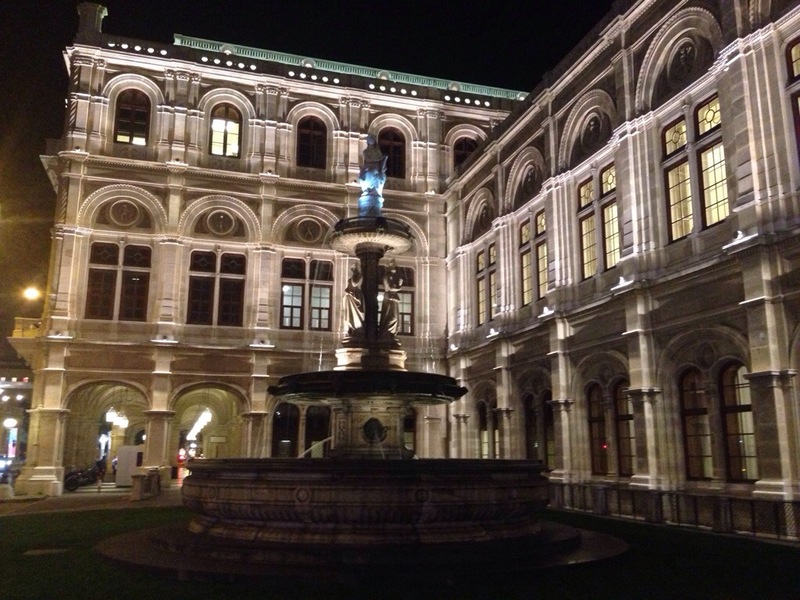 Like Paris, one can become “museum-ed out”! 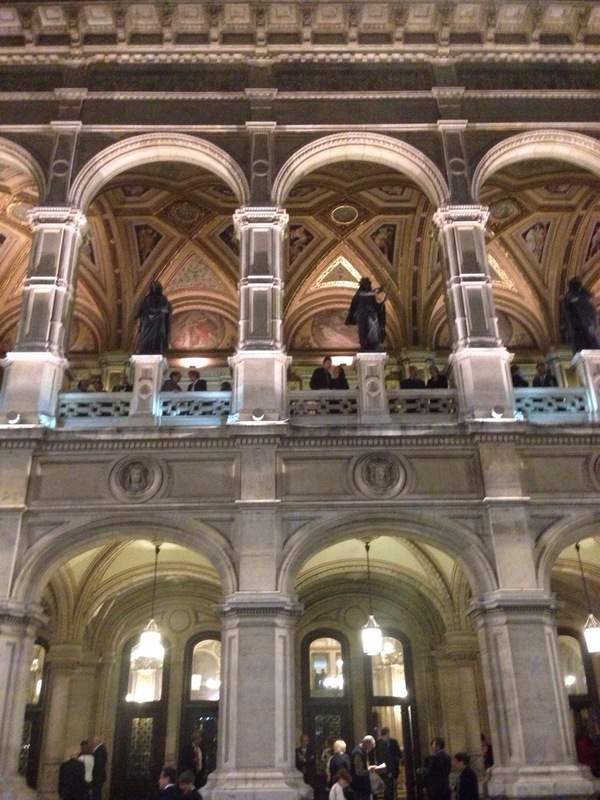 The architecture was my focus and delight. Pictures will suffice. Great gardens everywhere as well. 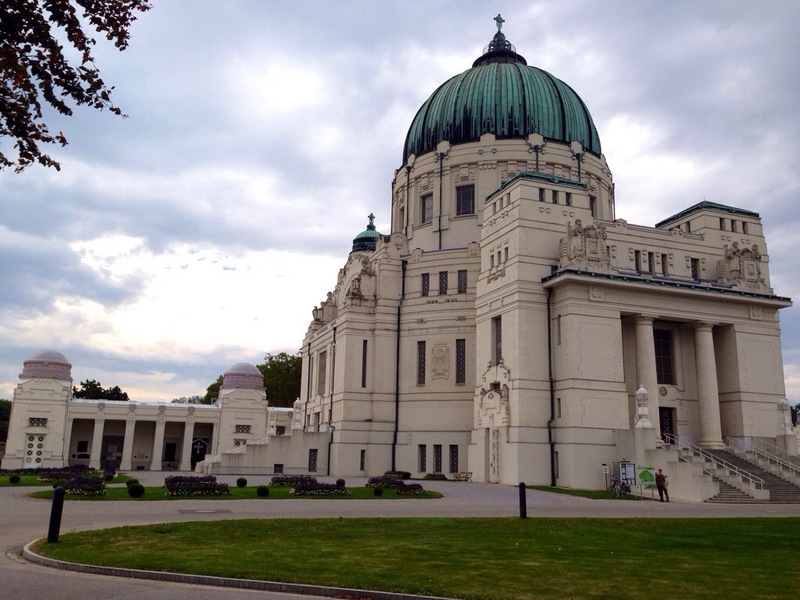 There was one fascinating place that I would not have sought out, were it not for the specific recommendation of Peter Magerl – the Vienna Central Cemetery! 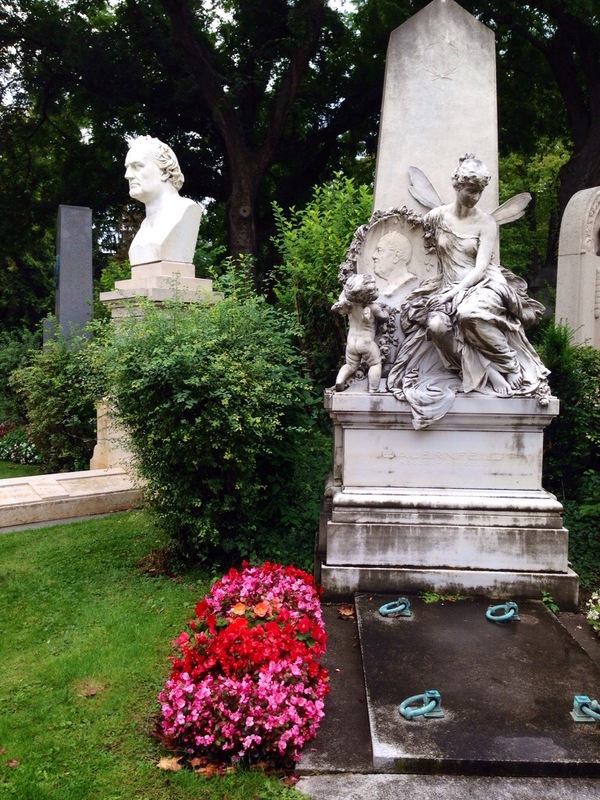 If and when you visit Vienna and have an interest in Classical Music, then cycle the 12 km or so and contemplate the final resting places of Mozart, Beethoven, Brahms, the list goes on. 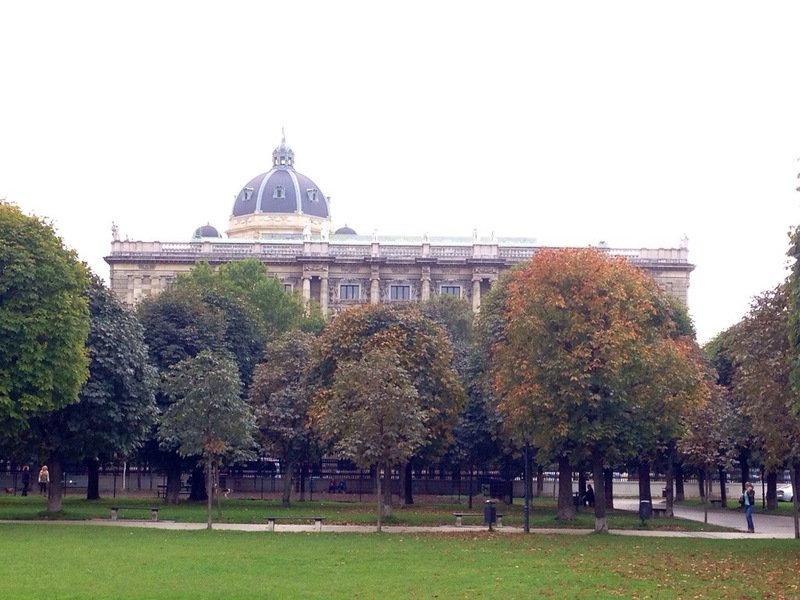 It’s in the real sense a huge Baroque garden, tombstones all works of art in an autumnal botanic park! The one disappointment was the Danube. 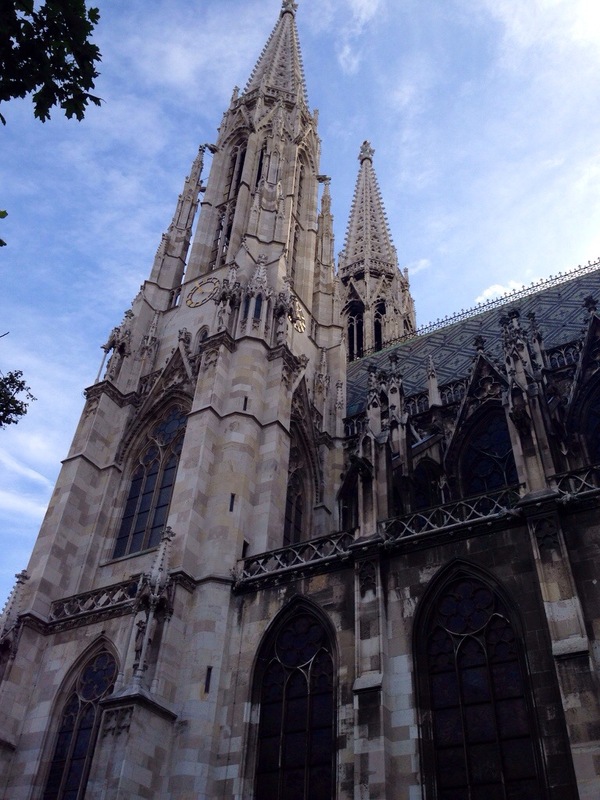 Having cycled 200 km along this unique raging river with thriving well maintained historical towns and villages and finally lush orchards and vineyards, the Danube in Vienna is neither Beautiful nor Blue. It is a canal. The water a muddy brown, the only blue is in the relentless graffiti that covers every inch of the old stone walls. But I do feel the instinct, like a migrating snow goose, to move on. As I have explained before, 4 or 5 days is sufficient in any major city. An observation on the older couple, travellers from Australia and USA specifically. There has been a fair number pass through the hotel during my week here. Both wander or stumble in a rather stunned way into the hotel dinning room especially at breakfast. The Americans present an obvious yet subliminal message “God this place is average , can’t wait to move on”. The Australian couple on the other hand are overcome with apprehension and if anything, mild confusion. The male especially, gives the distinct impression, that he has no idea of how he woke up in what is obviously a foreign country. ThIs troubling thought overwhelms him when he surveys the breakfast spread and is confronted by food that he would normally eat at dinner and secondly there are no obvious Kellogs Corn Flakes. A few of the ornate tombstones! Has given me a couple of ideas for my own final resting place. The bust I mean, not the marble fairy. Presumably a large mausoleum in the cemetery. 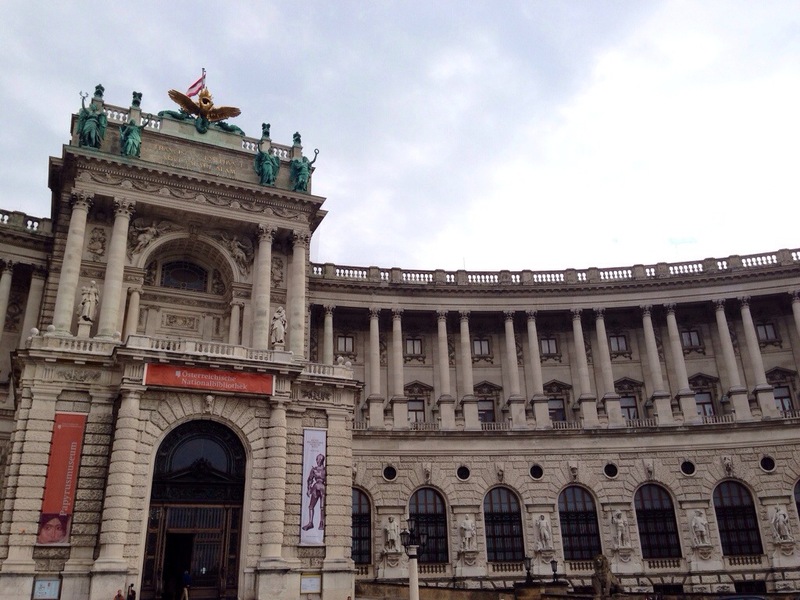 A few snaps from around the Hofburg district. 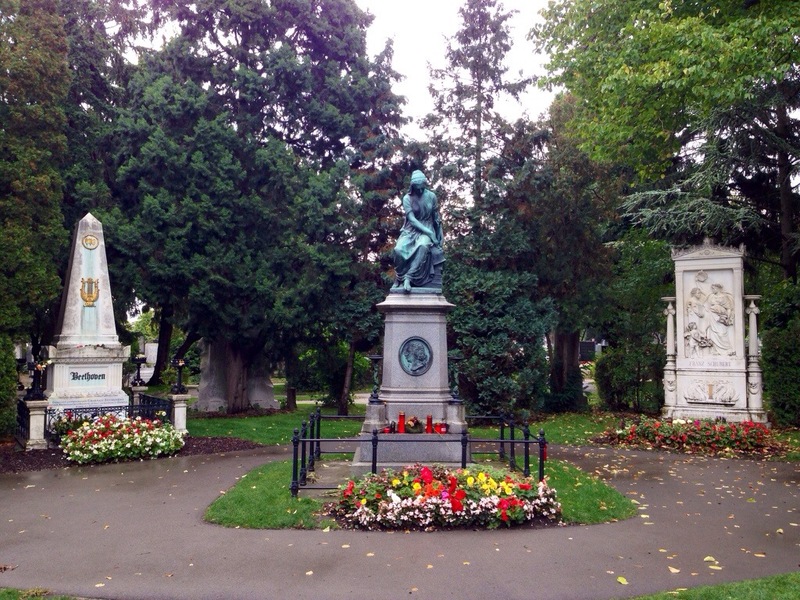 Beethoven, Mozart and Schubert graves in the Central Cemetery. A beautiful sunny day and the locals were out in droves ! 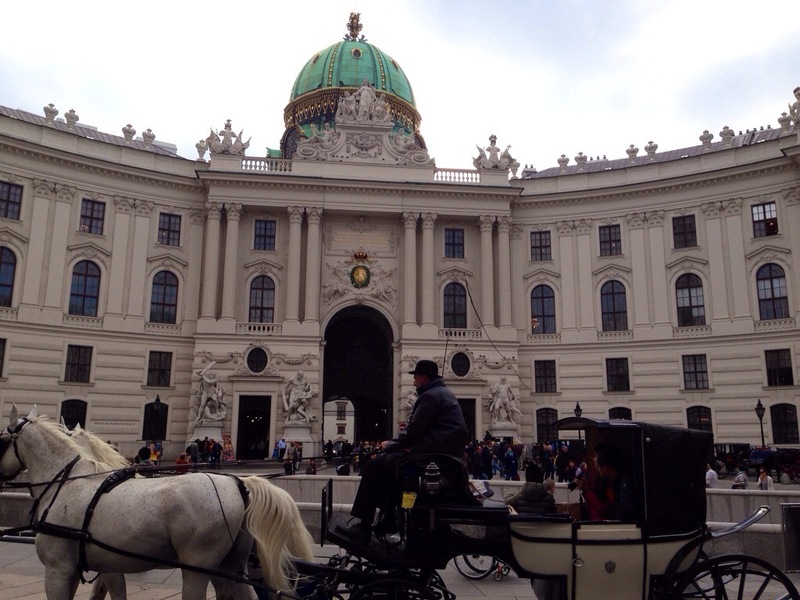 These were admixed with an equal number of tourists. Speaking of which, I know you won’t believe this, but within the space of half an hour, I bumped into the 2 Spaniards then the 4 Israelis! 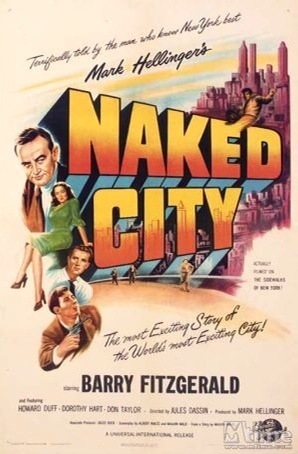 To paraphrase, “There are eight million tourists in the naked city. This has been a story of 6 of them”! All of them heading back to their respective homes tomorrow. 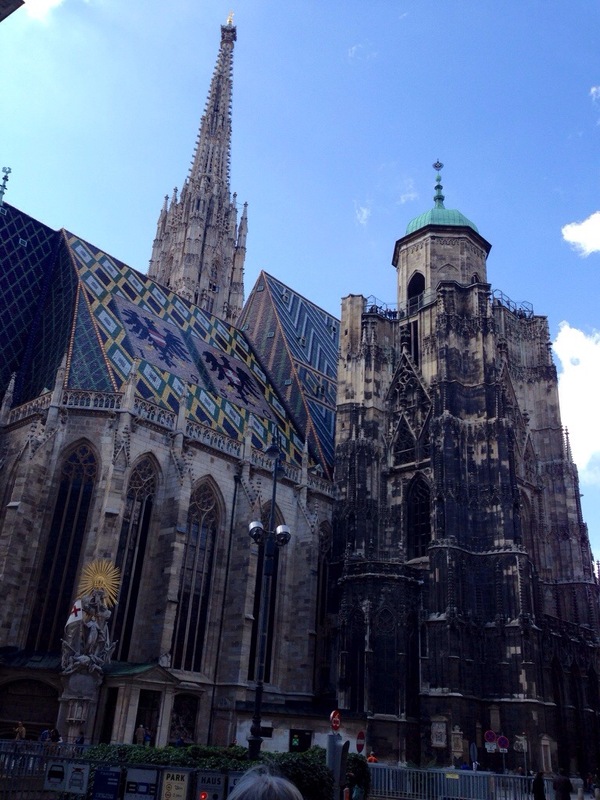 A strange quirk about shopping in Vienna. Conrad at reception told me “everything is shut on Sundays. “Everything”, he repeated with a flourish of his arms, for emphasis. I had run out of toothpaste. In the past, unintentionally in a poorly lit bathroom, I have squeezed shaving cream onto my toothbrush. Anyway it is true that except for tourist orientated food and ice-cream parlours, shops are indeed closed. However I found one of those ubiquitous small supermarket shops, indeed open. I entered, making a mental note to update Conrad on his local knowledge later. Imagine my disbelief when faced with a well stocked supermarket, the health and hygiene shells were roped off! “Where do I find the toothpaste”? I enquired. The young assistant explained ” Sorry, Sir we are not allowed to sell toothpaste!” Not allowed? I was flabbergasted! He was eventually able to get it across to me that they stock toothpaste, but it is “verboten” to sell it on a Sunday’! I briefly toyed with asking him about flossing, but just as rapidly dismissed the idea as fraught with interpretative innuendo. 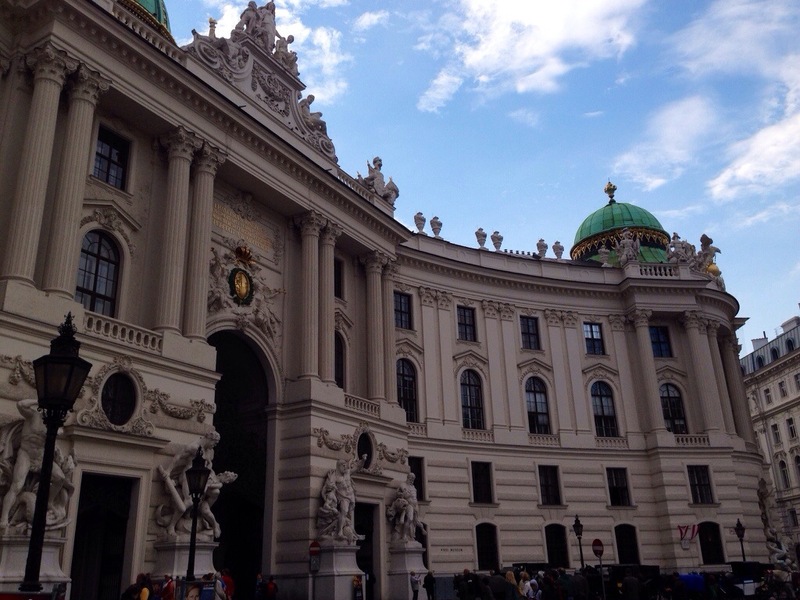 It is impossible to do justice to Vienna as a cultural city of charm and steeped in history either on words or pictures. To me it is a complex combination of Prague and Dresden. Chaotic traffic, hordes of tourists but with a old centre where the baroque buildings are hundreds of years old yet are so strong and stable that one knows they will still be standing and just as ageless in other 500 years. This was a totally unexpected but so very rewarding and fascinating discovery. It is part museum and part interactive technology centre. A must visit place for the music lover. 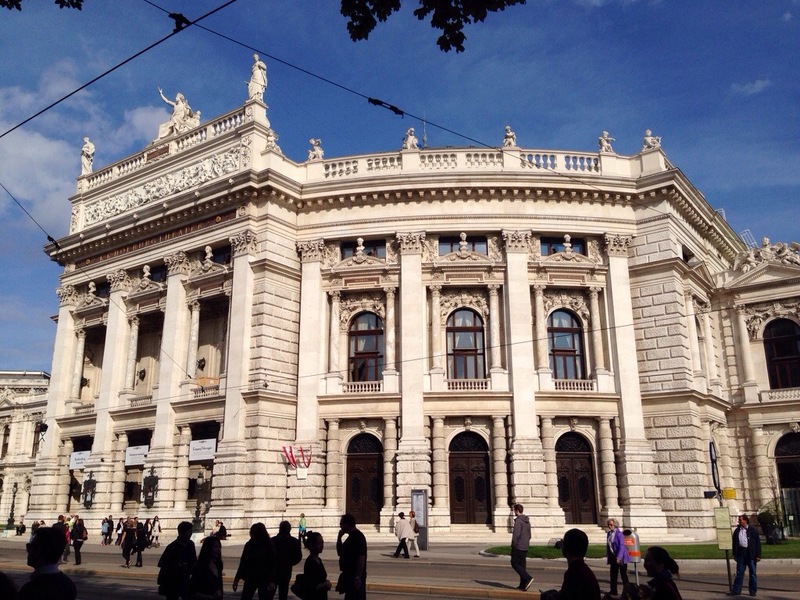 The first floor is dedicated to the history of the Vienna Philharmonic Orchestra. To give one example it has a display of all the batons preferred by the resident conductors over the years starting with Strauss of Tone Poem fame. The second floor is an interactive “laboratory” in which one can learn about the complexity of sound via touch screens and headphones. There are a couple of fun activities even for aging Recorder students. The first involved throwing a furry dice onto a Perspex square plate about 1 meter square. I suspect it uses the detection of minute electrostatic changes to generate a pulse of charge. The pitch and beat of the tone generated is determined by the enthusiasm with which one throes the dice. It obviously bounces around the Perspex plate at variable rate and places! To add to the fun, you do it twice – once with a blue dice – which translates to the sound of a flute and a second cabinet with a red dice and it translates to the sound of a cello! The two are combined and played back to you as a sonata for cello and flute! I could have composed all day, it was delightful. 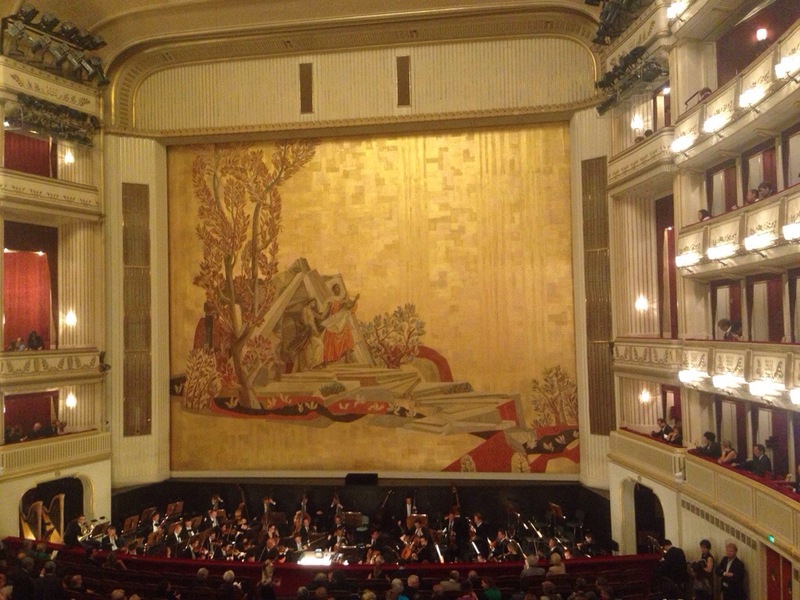 But the one that well and truly won me over was an interactive display which allowed one to conduct the Vienna Philharmonic Orchestra. There was a huge video screen, the “conductor” stood on a podium in front of the screen and held a baton which was a rod of clear Perspex. An infra red light detected the frequency at which this baton moved and this determined the speed at which the movie of the orchestra in front of you projected. I was ecstatic, especially as I was alone in the cubicle so could over act to my heart’s content! The third floor was given over to famous composers who had a significant association with Vienna. Hadyn, Mozart, Beethoven , Schubert, Mahler and Berg. One fascinating titbit- Haydn acquired a pet parrot. 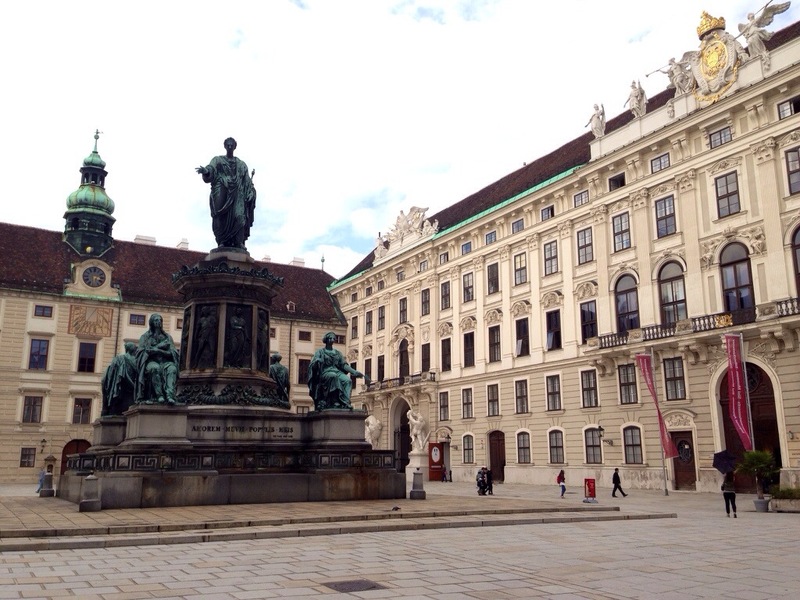 It screeched his name and whistled the Austrian National anthem! I have to start getting serious about my Conference from Monday.